One of the senior heroes who has a bunch of projects in his hand right now is Venkatesh. He is currently shooting for 'F2: Fun and Frustration' with Varun Tej. Next, he is going to act with his nephew Naga Chaitanya for a multistarrer 'Venky Mama' helmed by Bobby. Then, he is going to join the sets of Trivikram's film. 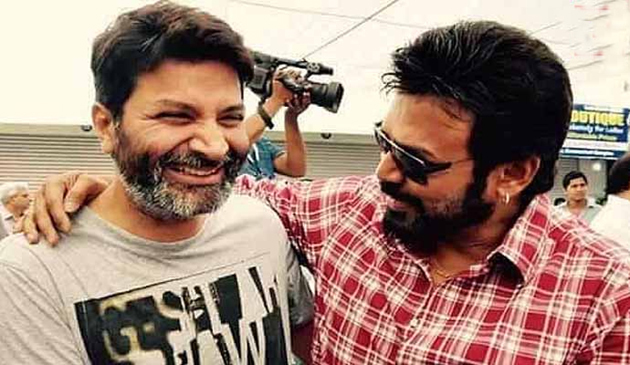 Both Trivikram and Venky worked together in the past and delivered some super hits like 'Nuvvu Naku Nacchav', 'Malliswari' etc. As per the latest reports, Trivikram had first narrated a story to Power Star Pawan Kalyan. But, Pawan wanted to concentrate more on politics, he bid goodbyes to film and politely rejected Trivikram's offer. So, the 'A Aa' director narrated the same script to Venkatesh who accepted to act in it. Interestingly, a few years ago, Trivikram first narrated 'Atharintiki Daaredhi' script to Venkatesh. But the 'Guru' actor couldn't do the film for the reasons best known to him. And now, he has okayed the script rejected by Pawan. This is an interesting coincidence. Isn't it?